If disaster visits your building or it suffers from a major failure, will you be ready? Will recovery be quick and financially painless, or will the event be terminal? Disasters affecting buildings can come from nature or from the acts (or omissions) of man. Best known and most publicized are the natural variety which also tend to affect multiple structures. 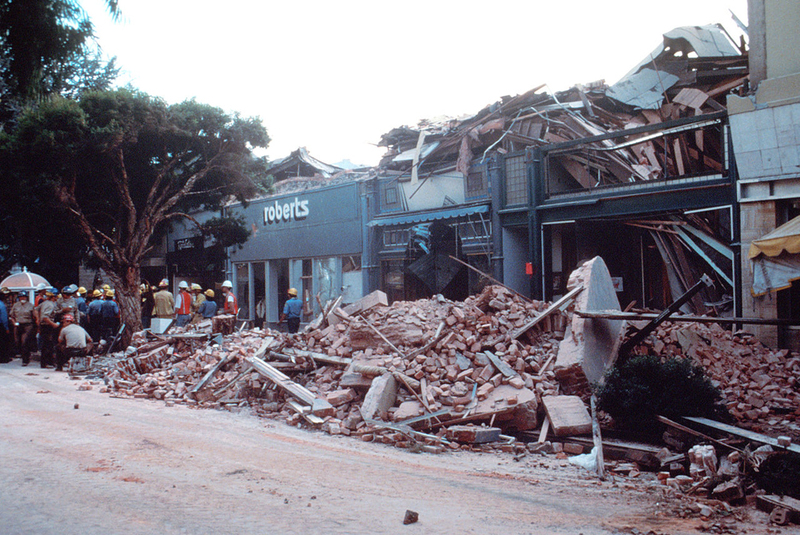 Hurricanes Andrew, Hugo, Iniki, and the Loma Prieta earthquake are events of the last decade in the United States which affected thousands of buildings resulting in hundreds of billions of dollars of damage. The comparable man-made or man-caused building disasters of the last decade are the Hyatt Regency walkway collapse in Kansas City which killed 113 and injured 186 and the l’Ambiance Plaza Collapse in Bridgeport, Connecticut, which killed 28 construction workers. Somewhere between natural and man-made disasters are fires such as the MGM Grand Hotel blaze in Reno which killed 85 people, the Oakland firestorm of 1991, and the Chicago River flood which inundated basements in hundreds of downtown buildings and shut down utilities for days. Although fires and floods may not always be man-caused, their adverse effects generally tend to be exacerbated by the design or construction of buildings. At the other end of the building failures (man-caused disasters are often termed failures) spectrum are the leaky roofs, cracked floors, and clogged sewers which rarely kill or injure anyone and merit little or no newspaper coverage, but in aggregate cost may exceed the more spectacular calamities in losses of income and in repair costs. Of these mundane failures, losses relating to roofing leaks are by far the most numerous, followed closely by losses from leaks or unexpected deterioration in other defective building components such as exterior cladding, windows, doors, and balcony decks. In addition to the obvious cost of repairing the leaks and any damage to finishes and contents, there are often significant costs incurred in repairing hidden structural damage such as decayed wood framing, corroded metal framing, or rusted concrete reinforcing. Completing the list of common building failures are poor drainage, earth movement or foundation settlement, inadequate heating, cooling, plumbing, or electrical systems, and defective fire-resistive or earthquake resistive systems. Although the nature of failures is often uneventful, the cost is not. A typical condominium related building failure claim can be in the tens of millions of dollars. A recent example in the San Francisco Bay Area was so severe that an 80-unit complex was razed to the ground and reconstructed from scratch at a cost of $6.5 million, not including the additional huge expenditures for litigation related costs. In San Diego, a case involving homes built on a landfill was settled for $36.5 million. Building failure doesn’t occur randomly, nor does it occur for no apparent reason. Those who investigate it find that most cases share common characteristics or substantial similarities. Eight building types account for 80 percent of reported incidents: multi-family, educational, office, health, retail, lodging, warehouse, and assembly. Apartment buildings and condominiums experience the highest number of performance problems. In California, particularly, the instance of building failure in condominiums and subsequent litigation has become legendary. According to the one study, the Northeast has a higher incidence of building performance problems than other parts of the country. Statistically, a building owner is more likely than not to experience a loss from some type of natural or man-made disaster. Although being adequately insured is an important part of disaster preparedness, there are other important preparations that can improve recovery time after a disaster and limit losses which may not be covered or are simply not coverable by insurance. Some of these preparations are not just disaster related but are useful tools for reducing operating costs and providing more efficient management throughout the life of the building. One of the most important tools is an effective building maintenance manual. Unlike your automobile or your washing machine, your building probably did not come with a maintenance manual. If it did, it was probably limited to major items of mechanical equipment. Both catastrophic and routine losses can often be prevented or mitigated by an effective preventive maintenance program and maintenance manual. Owners and managers need not be intimidated by the prospects of setting up a maintenance program. By following a simple outline, a workable program and manual can be assembled even by a technically unsophisticated staff. Each division is subdivided in more specific sections. For example, Division 9 would include such sections as 09300 Tile, 09680 Carpet, and 09900, Painting. 1 A description of the product or system. 2. A list of related sections of the Maintenance Manual. 3. Names, addresses and telephone numbers of original subcontractors, manufacturers and suppliers. 4. Names and addresses of consultants involved in design and construction. 6. A description of work done on the product or system since original construction. 7. Record of any official inspections or variances granted for code and other legal requirements. 8. A copy or description of any warranty, including required maintenance or registration information. 9. A listing of parts and equipment. 11. Maintenance information including required maintenance work and frequency, any maintenance agreement, consequences of misuse and neglect, and the replacement interval or lifetime expected with proper care. 12. A list of relevant drawings in the working drawings from construction. The Maintenance Manual is a living, reference document. It is important to update and augment appropriate sections to reflect ongoing maintenance activities, inspections, repair work, etc. Although much material gathered will be specific to a particular building, there are several generic sources of maintenance information which may be prove helpful. These include: Handbook of Building and Plant Maintenance Forms and Checklists (Liska, Roger and Liska, Judith Morrison. Englewood Cliffs, NJ: Prentice Hall, 1990); NRCA/ARMA Manual of Roof Maintenance and Repair (Oak Park, IL: National Roofing Contractors Association, 1981); and, Means Facilities Maintenance Standards (Liska, Roger. Kingston, MA: R. S. Means Company, Inc., 1988). Because of frequent turnover in building owner personnel, building management contractors, maintenance contractors, and even building ownership, maintenance tends to be redundant, inappropriate, or inadequate. A maintenance manual provides the basis for an effective and efficient program that can survive the transience of persons responsible for maintenance. Two complete copies should be prepared and simultaneously updated, one of which should be kept off-premises in case of a disaster. Some of the same material and organizational approach described for a maintenance manual can be used in preparing for the “Big One”, whether it is a fire, earthquake, flood, tornado, or even a “smaller one” such as a damaging windstorm or rainstorm. 8. Specialty contractors for systems such as roofing, glazing, security, communications, electrical, plumbing, HVAC, fire protection, painting, floor coverings, etc. If a disaster or major failure strikes and the building owner or manager doesn’t know exactly which member of the team to contact, a good rule of thumb is to start with the architect. An architect can quickly develop an overview of the nature of the calamity and determine whether, for example, the most immediate need is for a structural engineer, a soils engineer, a glazing contractor, or a testing laboratory. Even if the choice of specific specialists seems obvious, it is a good idea to bring in the architect, the one professional most experienced in seeing the building as a complex and interlocking system of seemingly disparate components. The maintenance manual itself can serve as the document repository that consultants and contractors may need in case of a disaster. For high-rise or unusually complex structures, an emergency plan with specific instructions for fire fighters and other immediate reaction public safety personnel may be helpful or even required. In San Francisco, a City ordinance requires highrise managers to keep such emergency plans on file. There are firms which specialize in providing the documents that will specifically satisfy the San Francisco Ordinance, and these may be a good investment for other building managers as well. An emergency plan, which incorporates some of the same elements as a maintenance manual, consists of a thick, loose-leaf notebook filled with diagrams showing floor plans, locations of water valves, ventilation shafts, elevator banks, stairwells, air ducts, and electrical and alarm systems. These notebooks also provide inventories and locations of materials and equipment, computer systems, important business records and works of art, and list all the tenants on each floor of the building. The cost is 24 per square foot to 44 per square foot. That would mean a minimum of $10,000 for a building the size of the Transamerica Pyramid. The emergency plan notebooks help fire fighters and other response workers quickly grasp the layout and mechanical operations of highrise office buildings. A building’s guide is kept in a fireproof safe box in the building’s main control room, and the building manager and engineer also get copies. What happens as the emergency response transcends into permanent repair depends somewhat on the operating philosophy of the insurance carrier. An aggressive carrier will round up its own team of design and construction professionals and work quickly to deliver to the building owner a repair solution and a tender of payment. A more passive carrier will leave it to the owner to formulate a repair strategy and to present a claim of estimated cost. The carrier may then simply offer to pay or proceed to pick it apart. In either case, the wise owner would be prudent to retain his own advisors, including both design professionals and an attorney to review and monitor the insurance carrier response. If a dispute develops over the appropriate repair or claim amount, having the owners advisors in place early and up to speed on the nature of the problem will hasten an early resolution. In the absence of a dispute, the owners design and construction team can get an early start on implementation of repairs. Even if the carrier is aggressive and tenders a satisfactory claim settlement, the responsibility for and management of the repairs will pass totally to the owner. Once again, having the design and possibly the construction team selected, familiar with the project, and poised to implement it can save significant time in restoring the building to full functionality. The key to a fast start and successful project implementation is placing the overall responsibility in the hands of a competent and experienced architect or construction manager and letting them micromanage the balance of the repair team participants. In planning for successful recovery from a building failure or disaster, we could take a lesson from the way we treat our automobiles. When our cars malfunction, most of us know where to find the owner’s manual in our glove compartment. It that fails, we have a dealer or favorite mechanic who in turn has a complete maintenance and repair manual and the experience to use it. Providing similar resources in the care of buildings could save substantial sums in ongoing maintenance costs and could make the difference between financial ruin and successful recovery when disaster strikes.